Camio works with all cameras, DVRs, NVRs and VMSs that support standard H.264 RTSP video streams. Camio is an open platform for smart video monitoring. It scales from a single pet cam at home to 1000s of video streams in commercial buildings. To make the purchase and installation of security cameras and NVRs simple, Camio has partnered with manufacturers and professional system integrators for their selection of equipment and expertise in the design and deployment of camera systems. Camio-powered Ella, featured as Best of CES 2018 by The Wall Street Journal, MVP in Video Surveillance by Security Sales & Integration, and Best New Product in Video Analytics by the Security Industry Association, is offering fast and easy setup via its network of professional installers. 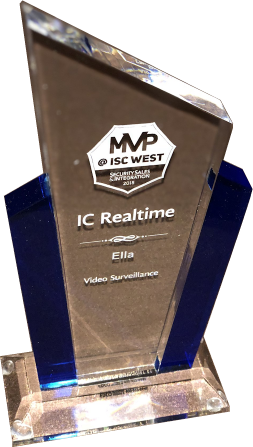 Best New Product in Video Analytics. Evaluating Camio? Buy or download a Box now.